Jonathan James studied privately with John Forster, formerly head of conducting at the Royal College of Music, before being trained in Germany’s ‘Franz Liszt’ Music College. This was followed by international masterclasses in Vienna, Zurich and London and lessons with Sir Colin Davis and Grant Llewellyn. 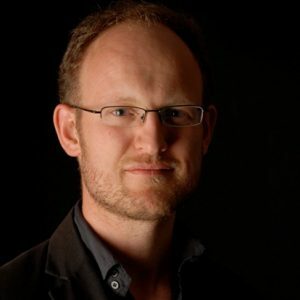 He founded and directed the New Bristol Sinfonia for 6 years whilst freelancing in London and Europe, including conducting the City of Prague Symphony Orchestra and the Southbank Sinfonia. In 2002 he had a one-year conducting fellowship with the Boston Philharmonic in the States, working not only with the BPO but also players from the Boston Symphony Orchestra and the New England Conservatory. In 2003 he focussed on teaching, becoming Director of Music at the South West Academy of Dramatic Arts (Filton College), and later Head of Performing Arts. He now combines freelance conducting and playing jazz with speaking on classical music, leading seminars and giving pre-concert talks at the Colston Hall and elsewhere.